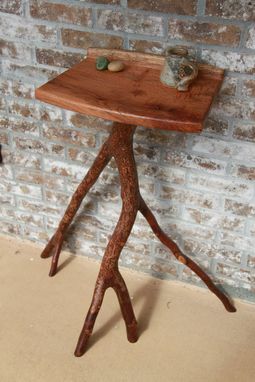 This unique table is made from White Oak and Bradford Pear. 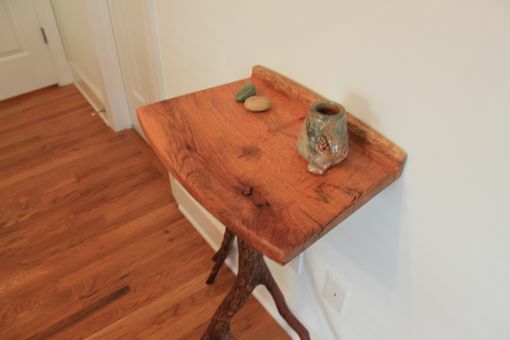 It is hand crafted and does not have any fasteners to hold it together. 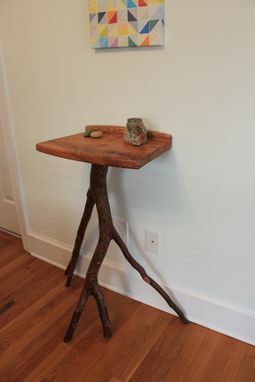 It is designed to sit against a wall. 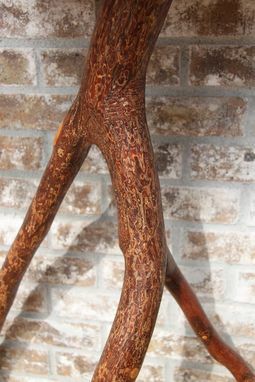 The leg is a single branch of bradford pear with a round tenon and wedge to secure it to the top. 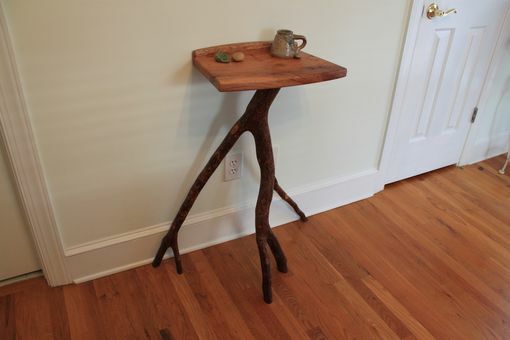 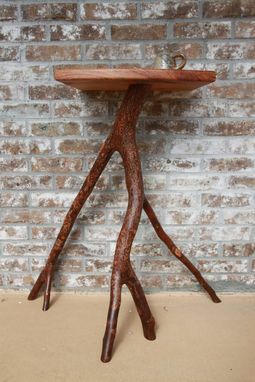 The piece serves as a wonderful entryway table or side table and will be a true conversation piece in your home.